In 2009, The Pentagon established an agreement with the Seychelles government to establish a drone base within proximity of the country’s civilian airport. The base is operated by the US Air Force. The Seychelles islands with a population of 85,000 inhabitants are strategically located in the Indian Ocean. They are close to the U.S. combined Navy and Air Force base in Diego Garcia in the Chagos Archipelago, from which major military operations are conducted. Diego Garcia is also a major center of the military intelligence establishment. 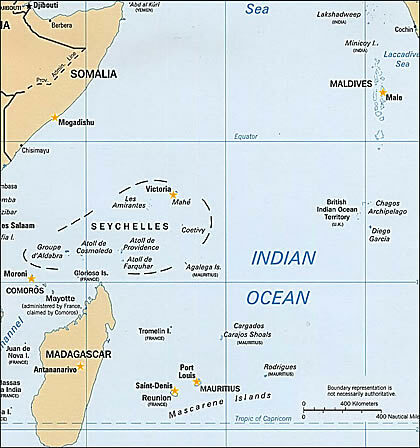 The Seychelles are also directly opposite Somalia and its capital Mogadishu. See Map. below. According to the Washington Post, the US Air Force operates only “a handful” of MQ-9 Reapers out of its base in the Seychelles. Bear in mind that these are very sophisticated UAV. Officially they are said to be involved in surveillance and prevention of acts of piracy off the East African coastline. In actual fact, they are involved in surveillance activities in support of US military and intelligence operations in East Africa. More specifically, the UAVs are involved in military surveillance in Somalia, where the US is engaged in “a war of stealth”, which is rapidly developing into a theater war following the influx and deployment of allied Kenyan troops. “The Air Force has been secretly flying armed Reaper drones on counterterrorism missions from a remote civilian airport in southern Ethi­o­pia as part of a rapidly expanding U.S.-led proxy war against an al-Qaeda affiliate in East Africa, U.S. military officials said. The Air Force has invested millions of dollars to upgrade an airfield in Arba Minch, Ethi­o­pia, where it has built a small annex to house a fleet of drones that can be equipped with Hellfire missiles and satellite-guided bombs. The Reapers began flying missions earlier this year over neighboring Somalia, where the United States and its allies in the region have been targeting al-Shabab, a militant Islamist group connected to al-Qaeda. ….As a result, the United States has relied on lethal drone attacks, a burgeoning CIA presence in Mogadishu and small-scale missions carried out by U.S. Special Forces. In addition, the United States has increased its funding for and training of African peacekeeping forces in Somalia that fight al-Shabab. The Washington Post reported last month that the Obama administration is building a constellation of secret drone bases in the Arabian Peninsula and the Horn of Africa, including one site in Ethi­o­pia. The location of the Ethio­pian base and the fact that it became operational this year, however, have not been previously disclosed. Some bases in the region also have been used to carry out operations against the al-Qaeda affiliate in Yemen. Last month, the Ethio­pian Foreign Ministry denied the presence of U.S. drones in the country. On Thursday, a spokesman for the Ethio­pian embassy in Washington repeated that assertion. But U.S. military personnel and contractors have become increasingly visible in recent months in Arba Minch, a city of about 70,000 people in southern Ethi­o­pia. Arba Minch means “40 springs” in Amharic, the national language. Travelers who have passed through the Arba Minch airport on the occasional civilian flights that land there said the U.S. military has erected a small compound on the tarmac, next to the terminal. The compound is about half an acre in size and is surrounded by high fences, security screens and lights on extended poles. The U.S. military personnel and contractors eat at a cafe in the passenger terminal, where they are served American-style food, according to travelers who have been there. Arba Minch is located about 300 miles south of Addis Ababa and about 600 miles west of the Somali border. 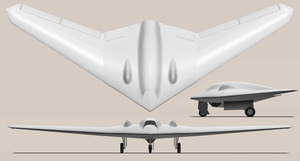 Standard models of the Reaper have a range of about 1,150 miles, according to the Air Force. The MQ-9 Reaper, known as a “hunter killer,” is manufactured by General Atomics and is an advanced version of the Predator, the most common armed drone in the Air Force’s fleet. Ethi­o­pia is a longtime U.S. ally in the fight against al-Shabab, the militant group that has fomented instability in war-torn Somalia and launched attacks in Kenya, Uganda and elsewhere in the region. The Ethio­pian military invaded Somalia in 2006 in an attempt to wipe out a related Islamist movement that was taking over the country, but withdrew three years later after it was unable to contain an insurgency. The drones are allegedly used for “humanitarian purposes” as well as part of the “Global War on Terrorism”, “to go after” Al Qaeda affiliated paramilitary. Ironically, the evidence amply confirms that in Libya, Syria and Somalia, these Al Qaeda groups are supported covertly by Western intelligence. In Libya and Syria Al Qaeda constitutes “NATO’s foot soldiers” supported directly by the Atlantic Alliance.